Once Porsche's World Endurance Championship LMP1 program halts after November's 6 Hours of Bahrain, factory drivers Nick Tandy and Earl Bamber are expected to leap back into a full season of sports car racing in 2018. Both team members drove for CORE Autosport in 2015-2016 and they are expected to compete for Porsche in the International Motor Sports Association GT Le Mans category next year according to the team's Head of Motorsport, Dr. Frank-Steffen Walliser. This announcement comes almost immediately after Bamber clinched the WEC Drivers' Championship at Sunday's race in Shanghai. Tandy and Bamber both participated in October's Petit Le Mans in preparation for a full-time return next season. Walliser explains that this move was very much on purpose as the two have been destined for IMSA after the close of this season. Teammates Andre Lotterer and Neel Jani are set to compete in the FIA Formula E Championship in 2019/2020. Porsche revealed earlier in the year that not all LMP1 drivers from the team would be assured spots in the electrifying series, so Bamber and Tandy's move settles their position within the organization. Options are still available to pick up Jani, Latterer, and Timo Bernhardt past 2018. 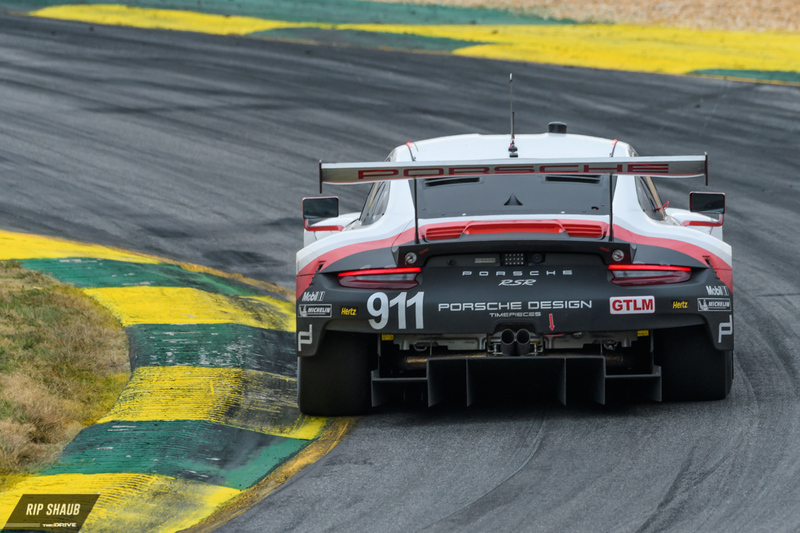 Porsche's current GTLM pair of Gianmaria Bruni and Laurens Vanthoor will be replaced by the LMP1 stars as they are expected to move to the WEC's GTE-Pro class. 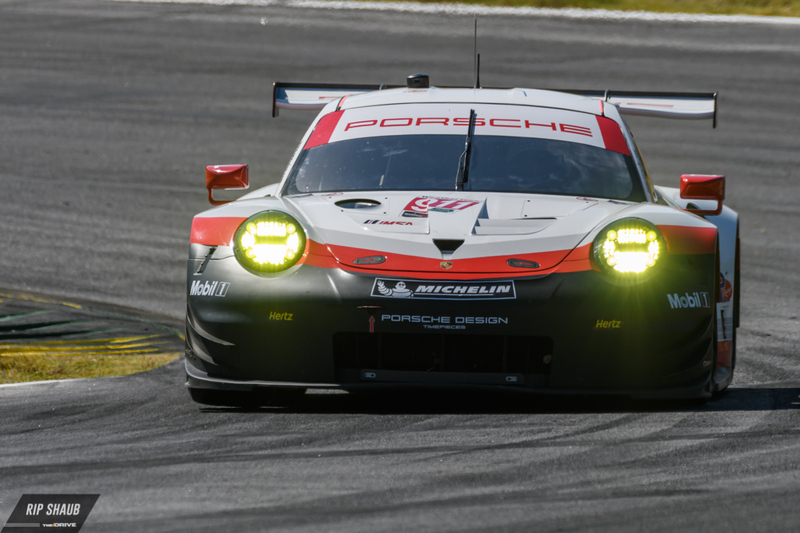 Bamber and Tandy will then race alongside the other Porsche 911 RSR piloted by Patrick Pilet and Dirk Werner. Walliser revealed that other prototype drivers could make appearances in GT cars depending on scheduling availability. With the Formula E calendar often intersecting with IMSA's, it's unlikely that we will see Lotterer or Jani in a sports car anytime soon. However, Brendon Hartley could be an available option despite likely picking up a season-long role with Toro Rosso F1. The final hours of the IMSA season finale are undoubtedly the best—and the prettiest.